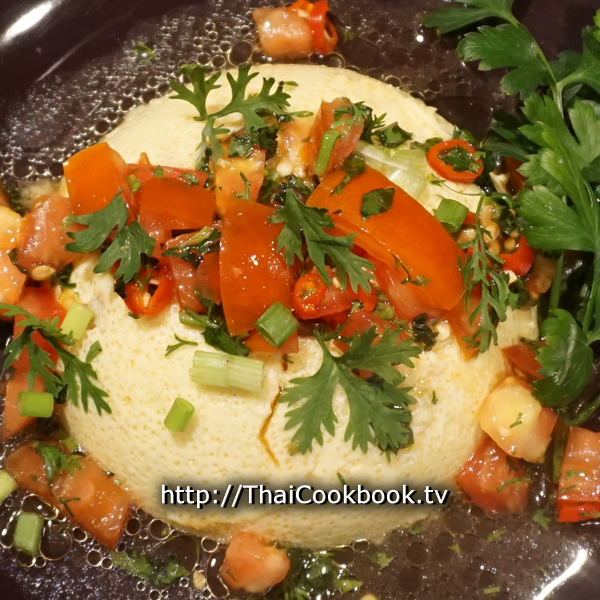 This Thailand-style steamed egg has always been one of my favorite things to serve my friends when they visit Thailand. 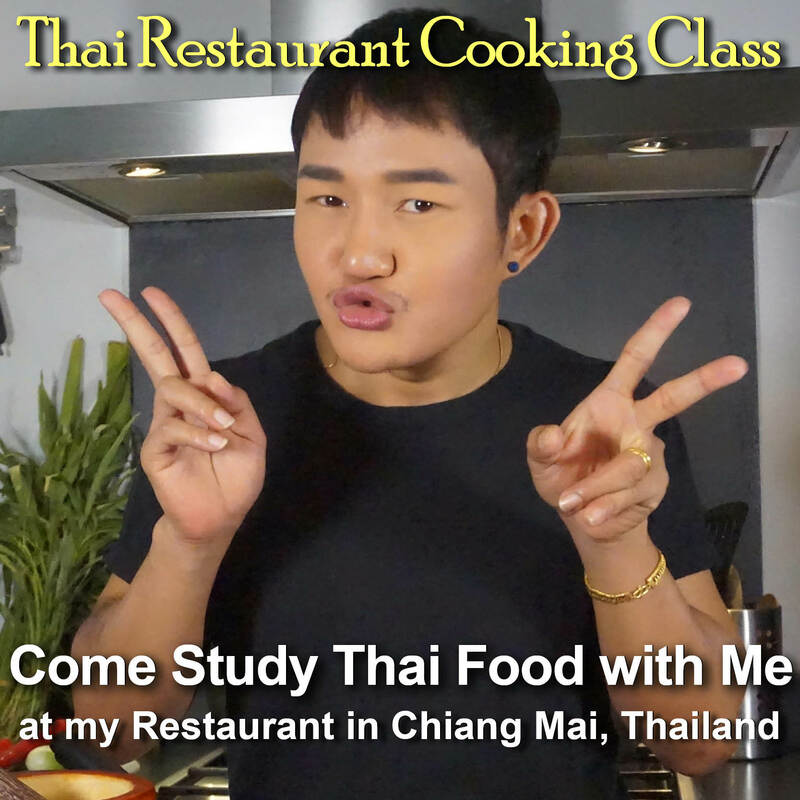 It's so unlike any other Thai food. 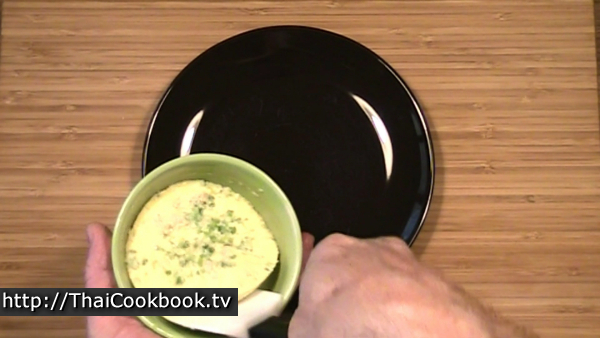 The egg is whipped together with lightly seasoned chicken broth, then steamed in a cup, producing a soft and moist egg that's like a custard or pudding, but not sweet. It gets its flavor from the filling you cook inside, so what it turns out tasting like is totally up to you. 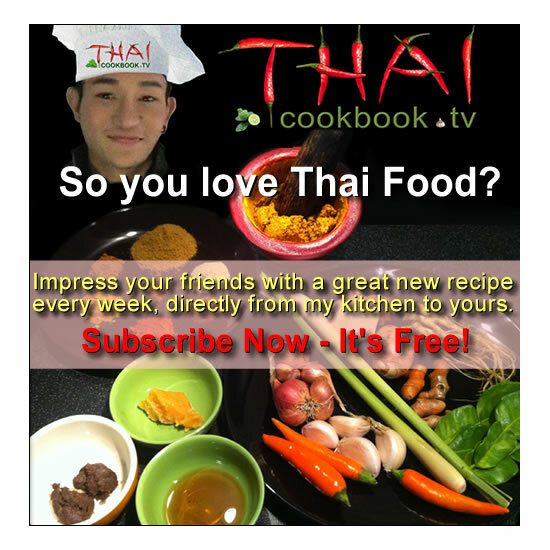 You can use herbs, vegetables, meat, or any combination. They are normally served right out of the bowl as a hot dish with some steamed rice on the side, but a while ago I decided to eat one ice-cold from the frig. To my surprise it was even better. Combined with this minty tomato salsa it makes such a wonderfully refreshing appetizer or snack that I almost never have it any other way. This one I'm showing you how to do today is made with just a little ground pork and some chopped green onion cooked inside. Enjoy! What's in our Steamed Egg with Tomato and Mint Salsa. 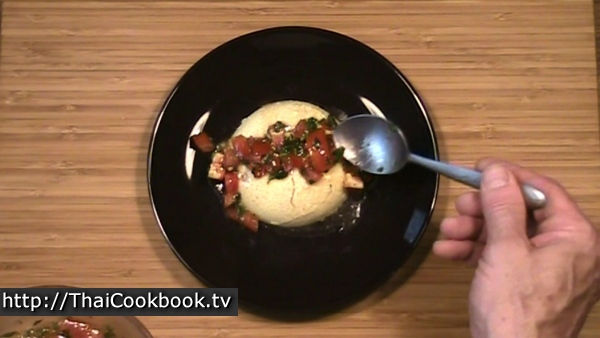 How we make our Steamed Egg with Tomato and Mint Salsa. 1) Blend eggs, white pepper, and soy sauce together until frothy, then add chicken broth and blend together well. 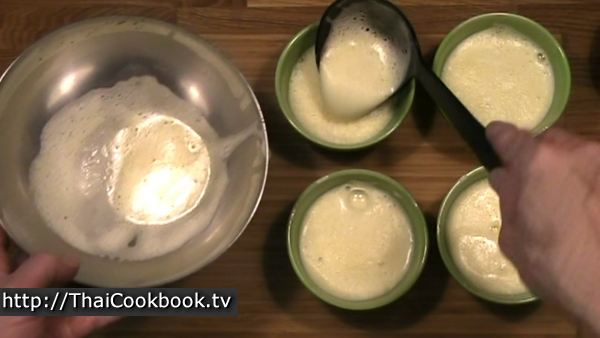 2) Divide egg mixture into 4 small heat-proof bowls. Place in steamer and steam cook for 15 minutes. Remove and let cool completely. 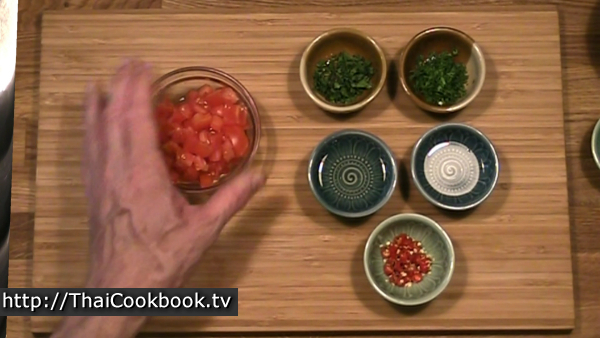 3) Stir together the diced tomato, chopped mint, cilantro, and hot chili, and mix with the vinegar and vegetable oil. Chill in refrigerator. 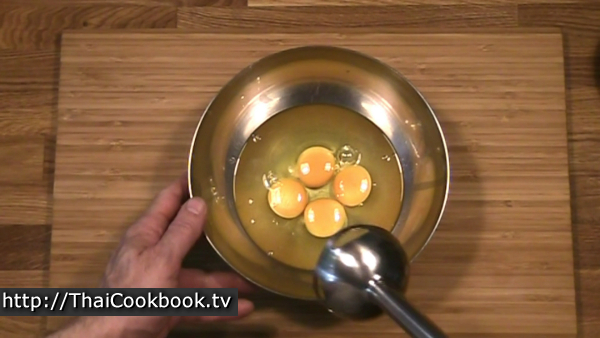 4) When ready to serve remove the egg from the bowl and place upside down on a plate. Top with tomato mint salsa and serve. Whip 4 large eggs, white pepper, and soy sauce until well blended and frothy. Add the chicken broth to the egg mixture and whip together well. 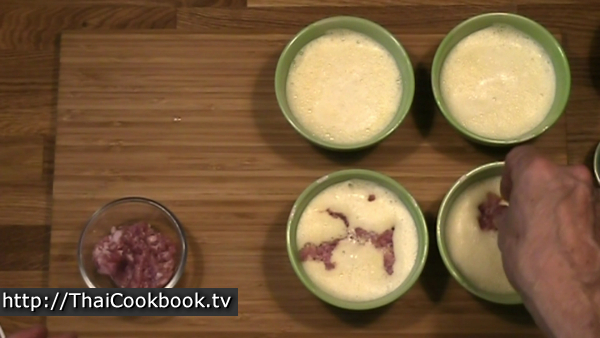 Divide equally into 4 small oven safe bowls with round bottoms. Add a little ground pork to each egg. Sprinkle some chopped green onion over each egg, then stir the onion and pork into the egg, just a little, enough to push it down into the egg. 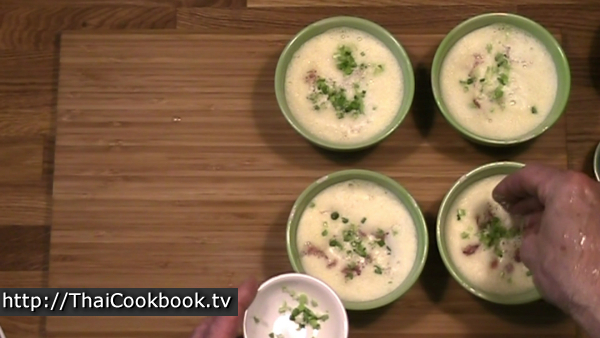 Steam the egg cups for 15 - 20 minutes, or until firm. While the egg cups are steaming, mix the diced tomato with chopped mint, cilantro, chilies, vinegar, and oil. Stir up well and refrigerate. Remove the eggs from the steamer and allow them to cool completely. Cover the bowls with aluminum foil and refrigerate until ready to serve. When serving, run a rubber spatula around the inside of the cup to loosen the egg, then turn it upside down on a small plate. Top with very cold tomato mint salsa. Garnish with cilantro, parsley, or celery tops. Serve immediately.